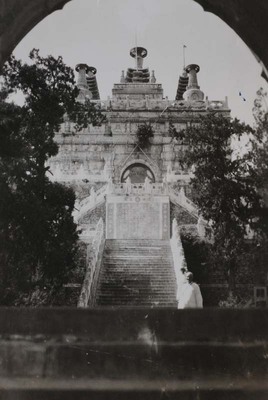 Pi Yung Sse (Biyunsi): Place where Sun Yatsen’s body was before the construction of the Nanjing mausoleum. Pi Yung Sse. August 1933. Société des Auxiliaires des Missions (SAM) China Photograph Collection, Whitworth University Library, Spokane.